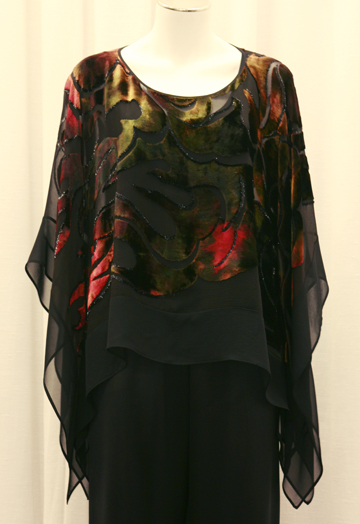 There's nothing more fabulous than treating yourself to a Zonda Nellis outfit for the holidays - and to wear after! Here are our top 5 holiday outfit ideas picked by Alexandra and David. All the items are available in our store NOW! 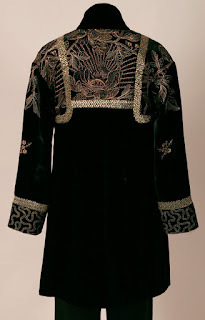 This is one of my absolute favorites - it is warm French Velvet with the most intricate gold embroidery. 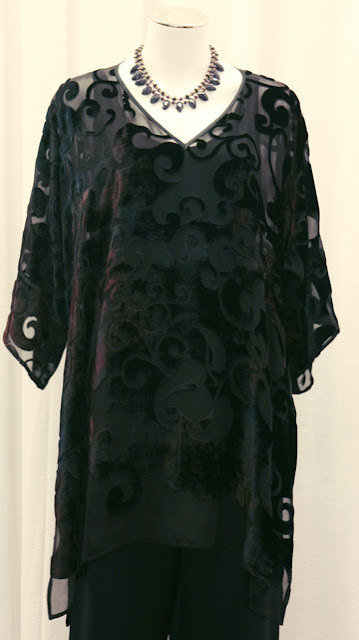 It is so chic and you can pair it with anything! This is a new type of fabric that we are doing - cotton painted velvet. 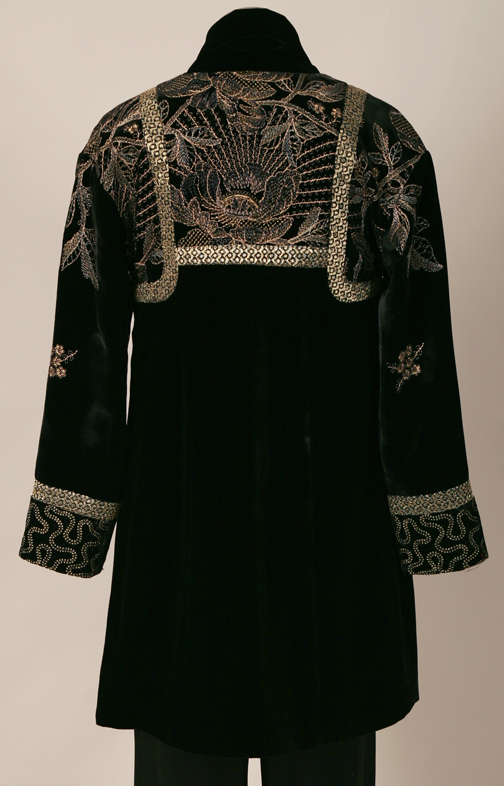 The fabric is entirely hand-painted and so unique. It is thicker - perfect for winter. It is lined in satin so it feels divine inside. This is velvet on silk fabric with Zonda's signature touch of hand-dyeing. It is a one-size piece so you don't have to worry about gaining weight over the holidays! The way this fabric moves with you is beautiful. If you want to get away from the traditional holiday colors of red, green, and black, then this is an excellent option. Ikat fabric is very in style right now. This coat is medium weight so you can wear it into the Spring. And who doesn't look good in blue?? 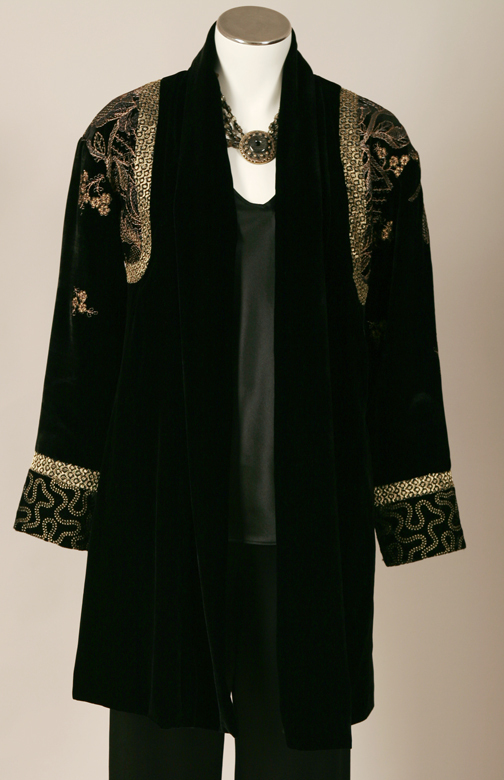 This fabric is velvet on silk, and it's a basic black with some edge. I can't get enough of the Tunic-Caftan. It is so flattering and it's practically my store uniform! It is so comfortable - like wearing pajamas. It's effortless and fabulous.